Wild Health and Fitness is an Award-Winning Business that has been offering Dance Fitness Classes and Health and Fitness Products to locals since 2009. Run by an experienced qualified and licensed instructor. Check out their website to download your Discount First Class Pass (see Class Timetable and Online Store). Venues: Beerwah – Bellvista – Caloundra. Their focus is on FUN and FITNESS for all ages and abilities! Pay as you come! No long-term lock ins and no bookings required as they have large venues. Prepaid discount cards available. No experience is required. 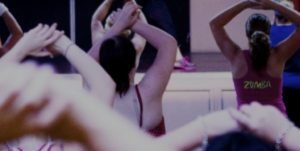 You will leave their classes feeling inspired, invigorated and full of ‘Happy Hormones’ galore! All this while burning loads of calories and having FUN at the same time. Amazing music from around the World comprising of a unique mix of Latin Beats, Salsa, Merengue, Cumbia, African, Cha Cha, Samba, Bacchata, Tango, Hip Hop, Bollywood, Reggaeton, 70s, 80s, 90s, Top hits of today and so much more! It’s exercise in ‘Disguise’ with no pressure! 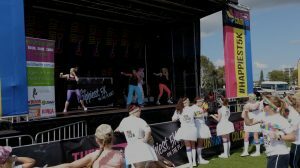 Specialising in ZUMBA Fitness and ZUMBA GOLD Fitness. New ‘Groovaroo’ Classes that have been hitting the world by storm are coming soon for new Mums and Dads to get involved in dancing with their babies and toddlers. 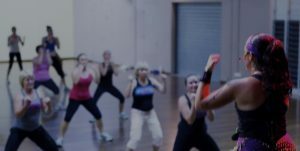 This entry was posted in Family Business Directory and tagged Classes, fitness, groovaroo, zumba on October 15, 2018 by Stephanie McCredie.